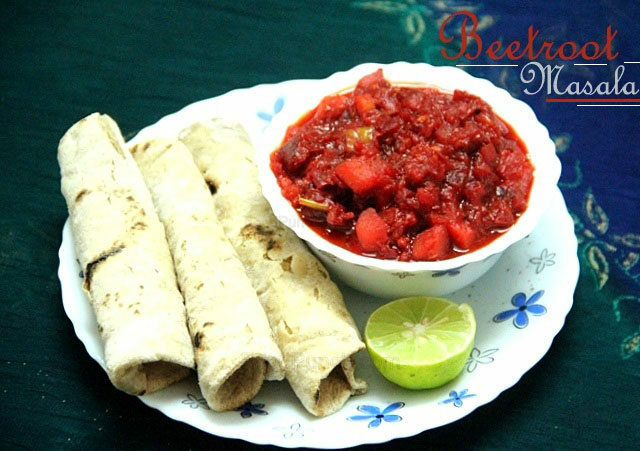 A spicy blend of beetroot, carrot and potatoes to make a great Dinner dish. 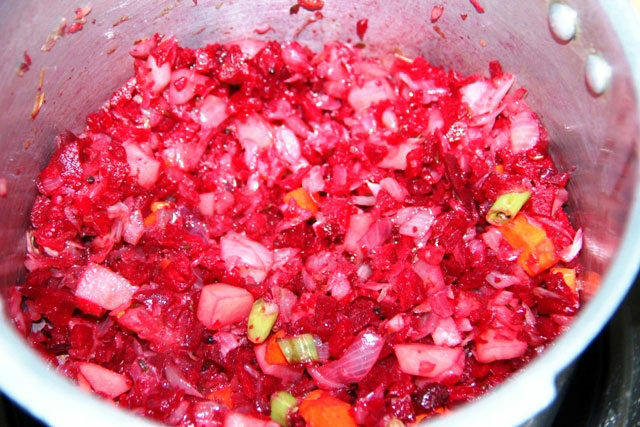 I have seen my grandmother talking about the all essential root – beetroot. 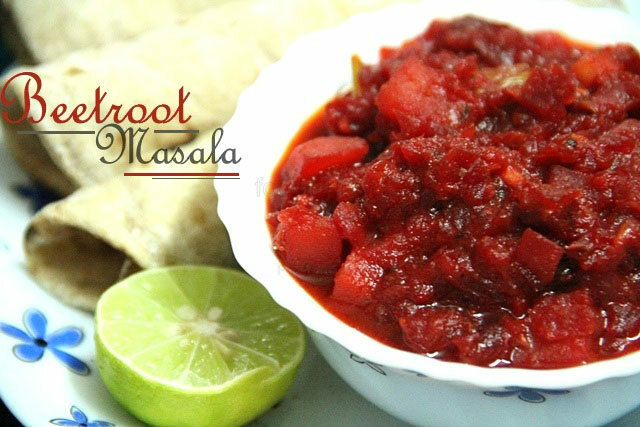 The purplish-red root is a well-known remedy for anemia in many Indian households. Beetroot reduces bad cholesterol, helps reduce blood pressure, protects from cancer – these are just a few reasons we should include them into our diet. 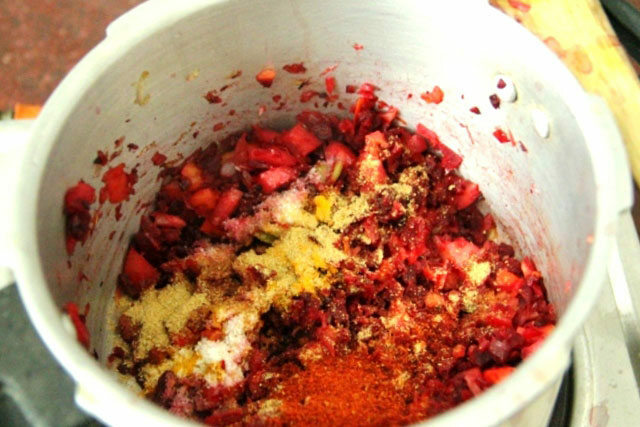 So, I have prepared this recipe with a combination of potatoes and carrots along with beetroots. The flavor of ginger garlic paste and coriander powder gives the curry delicious taste. The spicy taste and succulent consistency is very lip-smacking when chewing every bit. Heat oil in a pressure cooker. 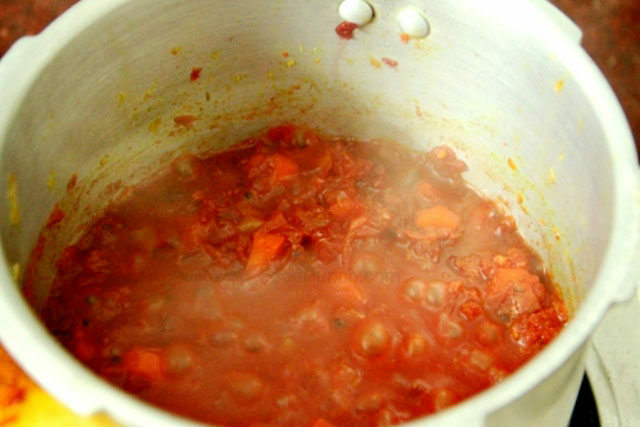 Once hot, add all the ingredients to temper and sauté for 5 to 6 seconds. 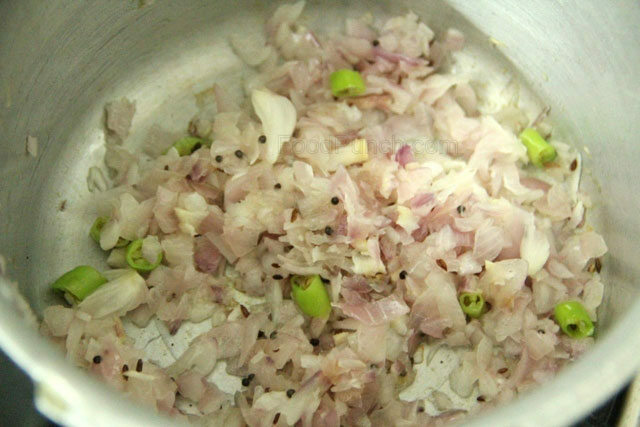 Add chopped onions, green chilies’ and turmeric powder. Sauté till transparent. Add the ginger garlic paste and sauté till the raw smell disappears. Reduce flame, add salt, red chilli powder, coriander powder and add water. Turn off flame and remove into a serving bowl. Garnish with coriander leaves. Serve warm with rice or roti. You can add garam masala to get more spicy taste. You can add more vegetables to the curry.